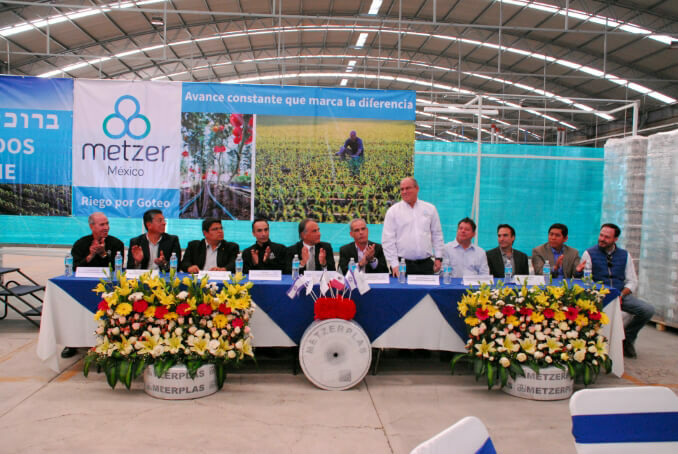 In an ceremonial ribbon cutting event, held on November 16, 2017, Mezter officially launched a new production plant, operated by Metzer’s young Mexican subsidiary. 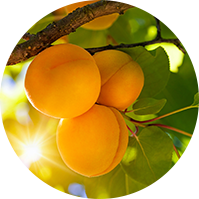 Metzer Mexico was established in 2015 as a collaboration between Metzerplas (Israel) and GB (Mexico), to bring Metzer’s set of solutions and innovative technology to the local Mexican farming community. The production plant, located in the city of Leon, will enable Metzer Mexico to supply the latest drip irrigation technology to the Mexican farmer, in the most cost-efficient and timely manner. The event was described as “momentous” by Shmuel Schupak, CEO of Metzer Israel, as part of the company’s international growth strategy, and the creation of yet another link in the chain of global projects carried out by Metzer in various countries including Ukraine, China and India. 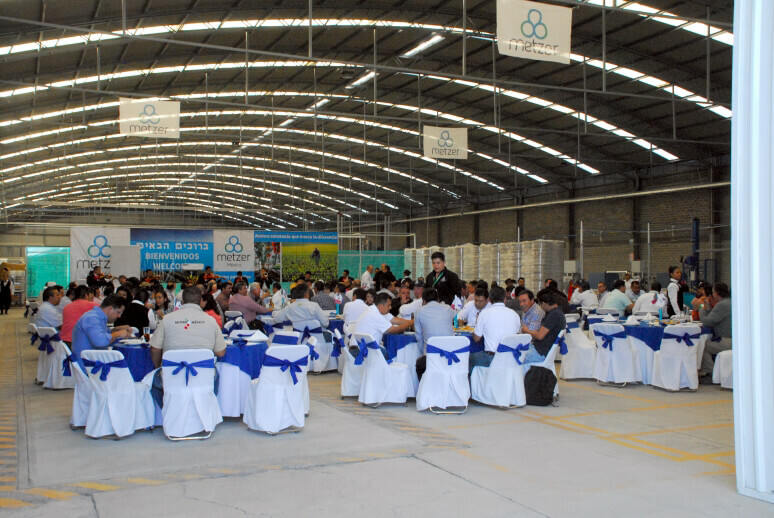 The launching event was held just before the Expo Agroalimentaria Guanajuato trade show, which was held in the city of Irapuato. 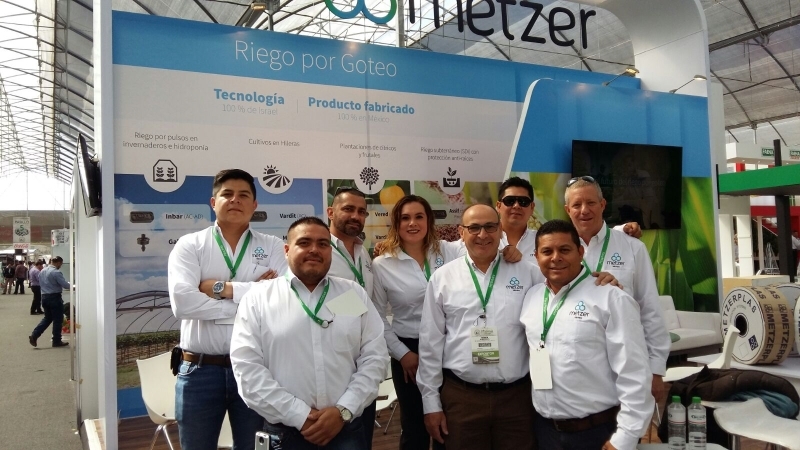 Metzer’s booth was manned and operated, for the third consecutive year, by Metzer Mexico’s energetic and motivated marketing and sales team, who presented Metzer’s vast range of drip irrigation solutions and services to the many attendees who visited the booth.